Quick update as I am trying to get a full Street$marts out today or tomorrow. The theme remains the almost same. 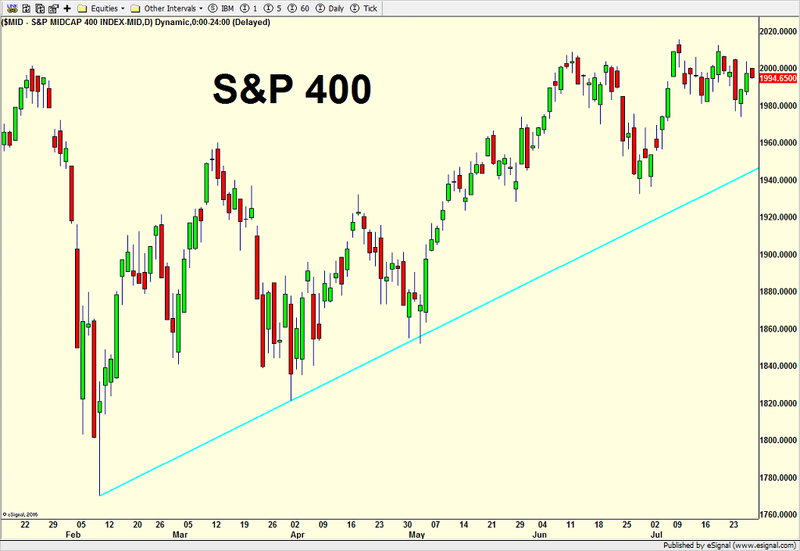 I thought a modest pullback would materialize and take the major indices below last week’s low. However, as I mentioned on Friday, the bulls put in a strong performance, like the Red Sox did over my Yankees, and took control from the bears on Thursday. That strength continues today with the S&P 400 and NASDAQ 100 leading with the Dow ceding leadership. The rising tide is lifting most ships as the S&P 500, S&P 400, Russell 2000 and NASDAQ 100 are very close to all-time highs. 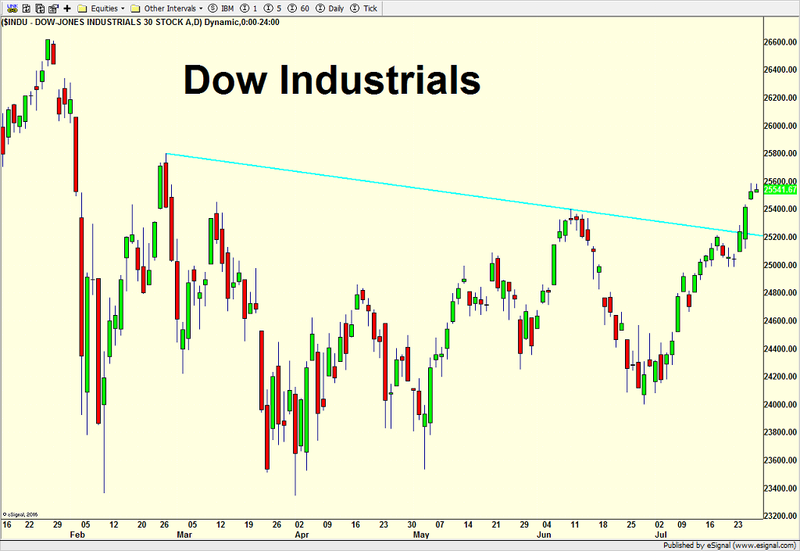 The Dow will get there but it’s going to take some time. Sector leadership remains disappointing with the semis and banks being lifted by the market and not the other way around. Discretionary has been solid as a rock with transports coming on strong. 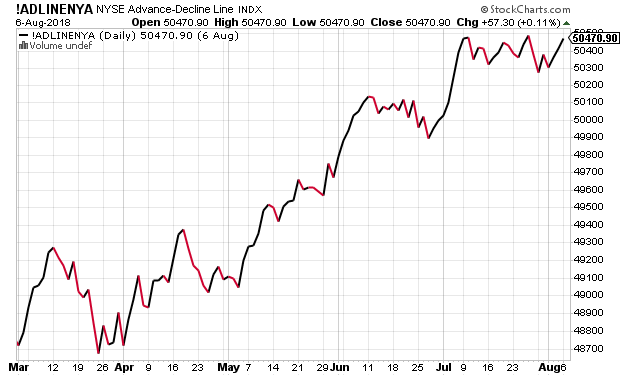 Junk bonds are continuing their resurgence and the NYSE A/D Line is making marginal all-time highs right now. 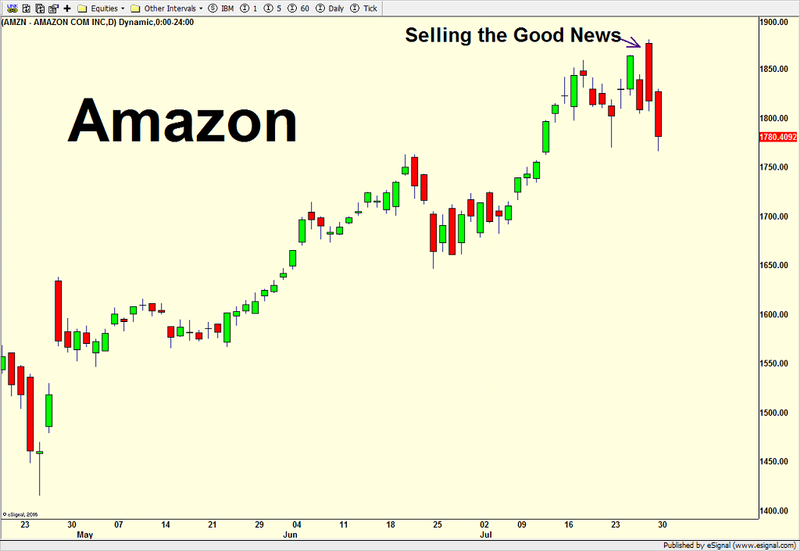 BULL MARKETS DO NOT END WITH THIS KIND OF ACTION! Preliminary Q2 GDP came in at +4.1% this morning, right in the middle of my range. While the majority “expected” this accelerating growth, that was only in recent history, meaning everyone ramped up their forecasts lately. As I saw the number print, I thought that there would be no way for the naysayers and negative media folks to spin this against the strength that it is. But yes, they surprised me again with a chorus of “yeah, but”. I heard that corporations pulled forward their buying because of tariffs. I heard that it was mostly because of soybeans. I heard that it was because the government spent much more money than expected. The bottom line is that 4% GDP growth is the highest in four years and fits in very nicely with my own bullish economic forecast for 2018 and into early 2019. It isn’t until mid-2019 to mid-2020 where I begin to have some concerns. With the expected good news, I wouldn’t be surprised if bonds actually rallied where intuitively you would expect lower prices on economic strength. Bonds had been selling off over the past two weeks. 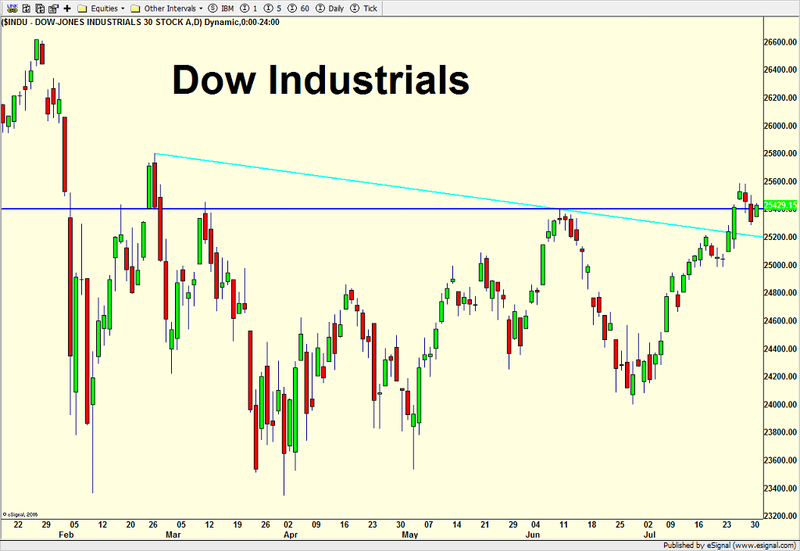 Conversely, with stocks rallying nicely into the report, I would be surprised if we saw a big rally on Friday. 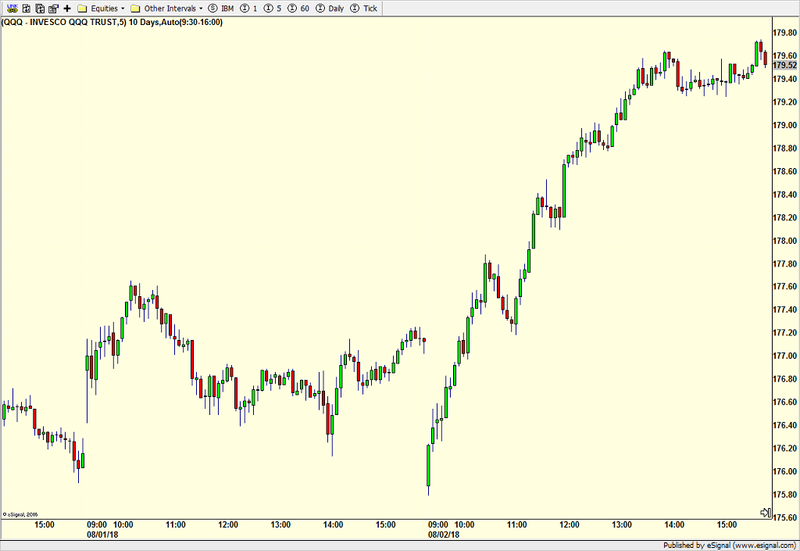 In fact, the model of the day would be to use any early surge as a short-term selling opportunity. 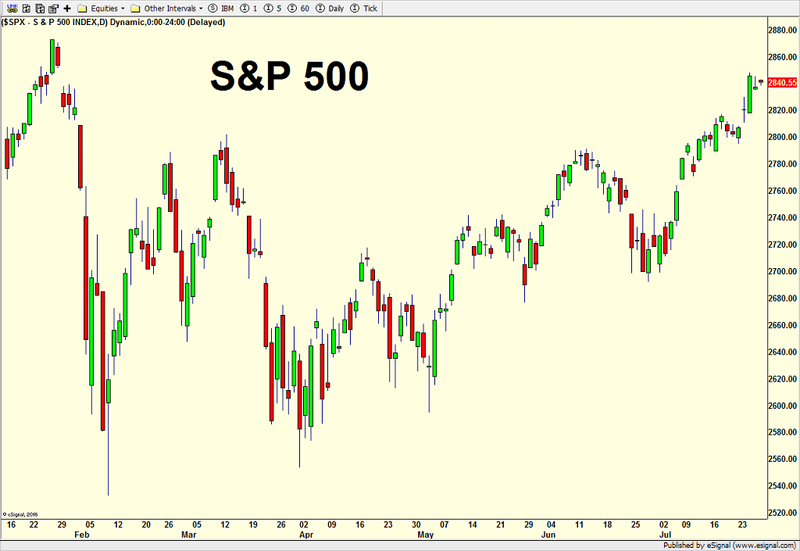 Looking at the major indices, there are no changes. 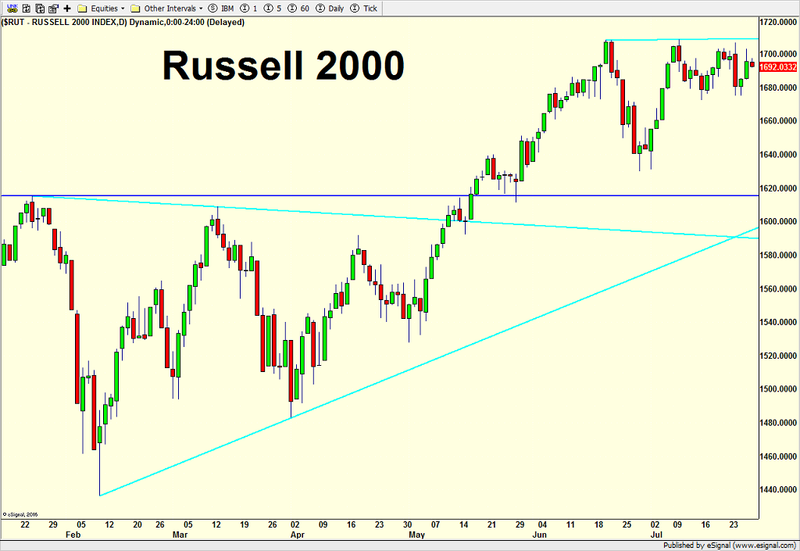 I continue to favor the Dow Industrials and NASDAQ 100 over the S&P 400 and Russell 2000. 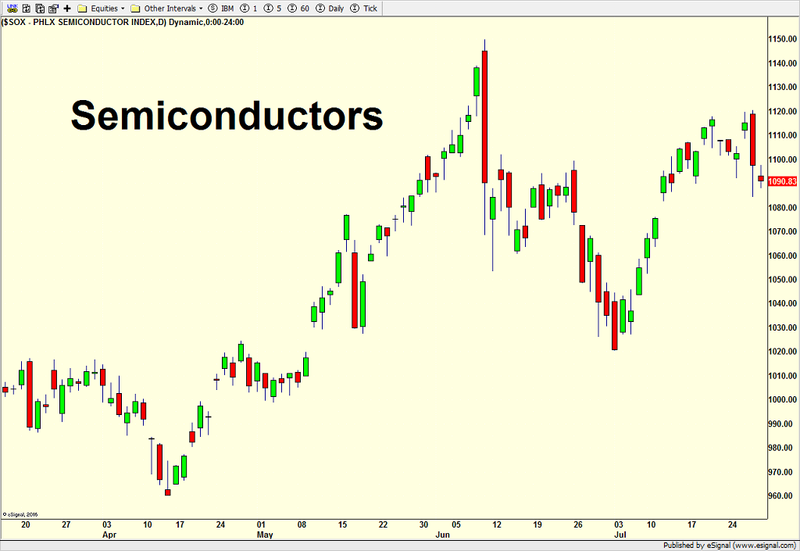 Semiconductors have really woken up while banks and transports remain neutral. Discretionary is still the leader of the leaders. 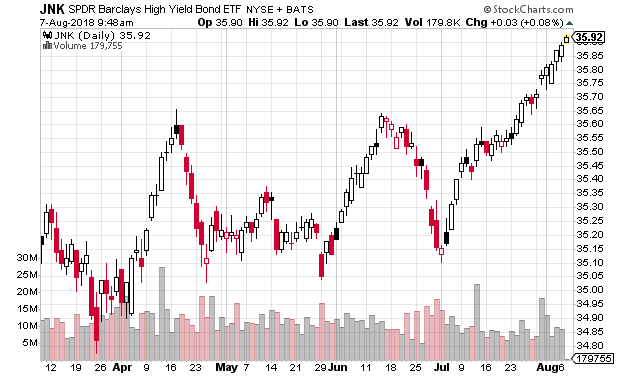 Junk bonds are continuing their quiet rally and the NYSE A/D Line forges ahead day after day to more all-time highs. Q2 GDP Baby. Stocks Like It! This morning, the government reported that the “second look” at Q2 GDP grew by 3%, higher than the original 2.6% first reported. 3% is even higher than any of my most bullish models and it continues to show that the US economy is re-accelerating higher this year.I would love to hear from all those people who challenged my bullish view of the economy or called me out Twitter. They kept telling me that 3% was a pipe dream. My theme all year has been reality over rhetoric and this epitomizes it. You can call it coincidence. You can credit Trump or Congress or the global central banks. I would say it’s probably all of the above. The fact is that the economy is doing better than at any time over the past three years and should continue to improve with some slight adjustments and volatility from Hurricane Harvey. Stocks opened sharply lower on Wednesday after North Korea fired a missile over Japan. However, by the end of the day, the bulls stepped up and regained all that was lost and then some. 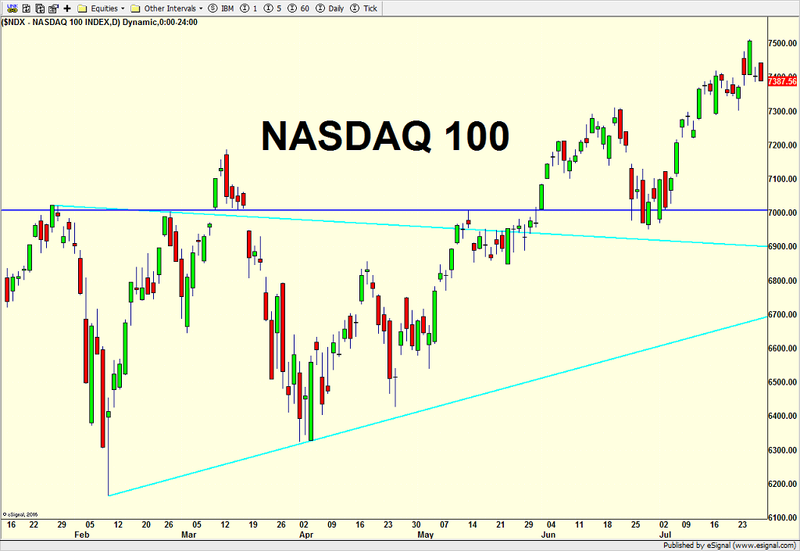 While I still believe stocks are in an intermediate-term trading range, short-term action is certainly strong and the rally that began at the open on Wednesday should continue. 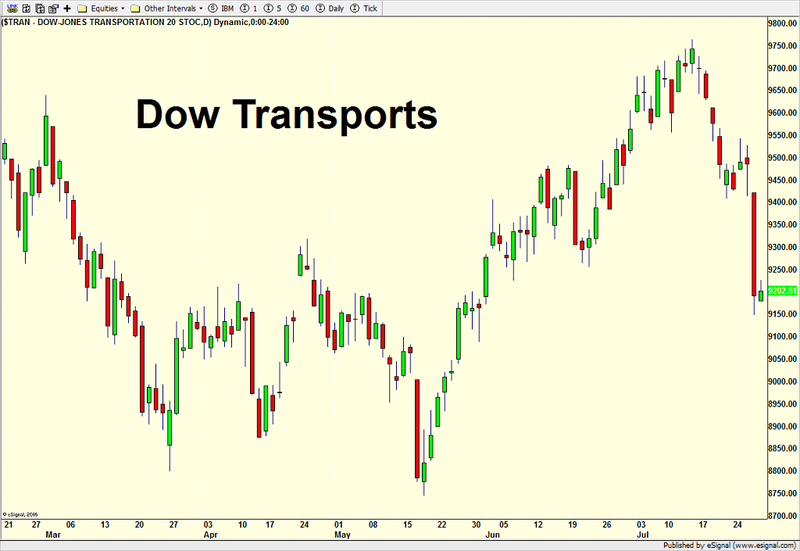 With banks, transports and discretionary still not leading, the rally may very well rest its hopes on the semis. Let’s see if they can score a new high for this quarter and possibly challenge their 2017 highs. That’s a stretch, but don’t count them out.